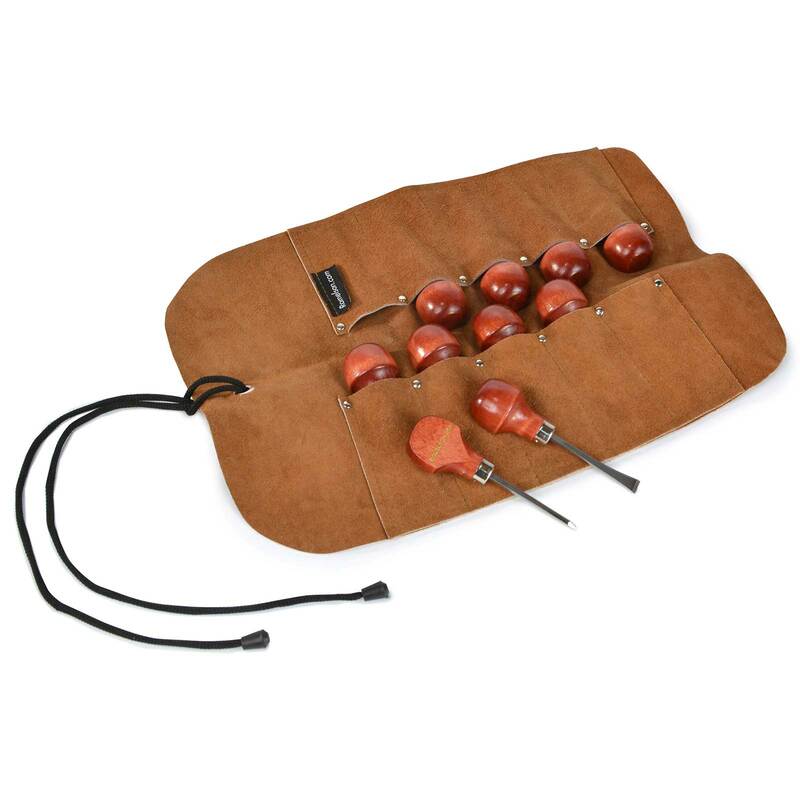 This set of 10 palm-handled carving tools is designed for the beginning carver seeking a high-quality set at a reasonable price. Blades are made of high-quality tool steel hardened to Rc 60-62, allowing them to keep a very sharp edge for a very long time. Each tool is fully polished, buffed, sharpened and ready for use. 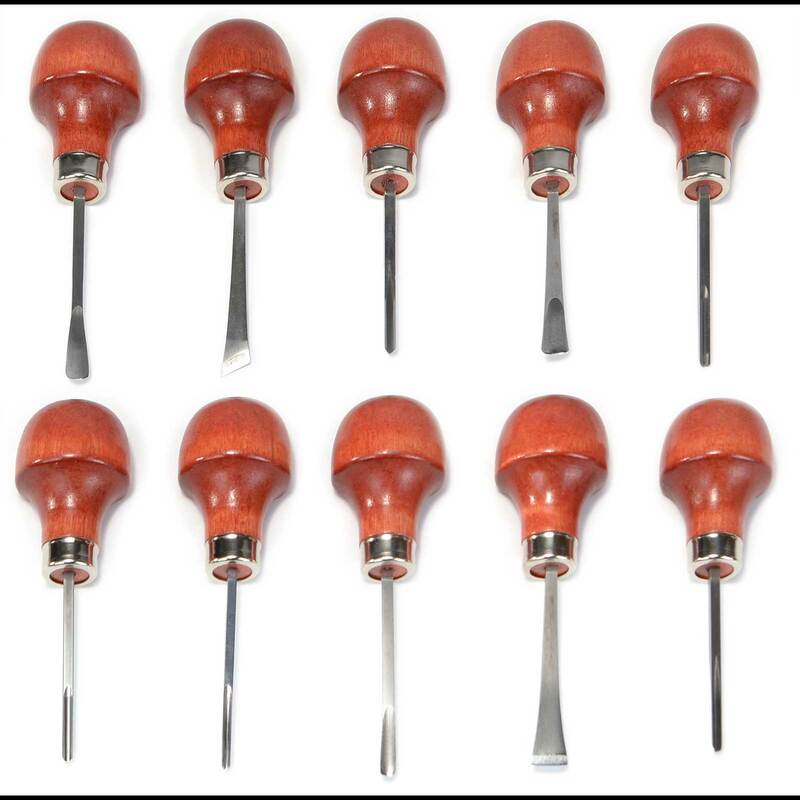 Set includes: 5/16" bent #8, 9/64" bent V, 9/64" straight gouge, 3/8" skew and 3/8" bent chisel; 209 lino block 1/8" straight V, 1/8" straight U, 1/8" straight gouge; 3/16" #5 straight fishtail; 1/4" #5 straight fishtail; plus a 10 pocket suede tool roll for neat, handy storage.